London, 1705. As a surrogate family of strolling players enact their nightly performance of Chaos Vanquished, a message in a bottle, washed up after years at sea, threatens to bring chaos once again to each of their lives. 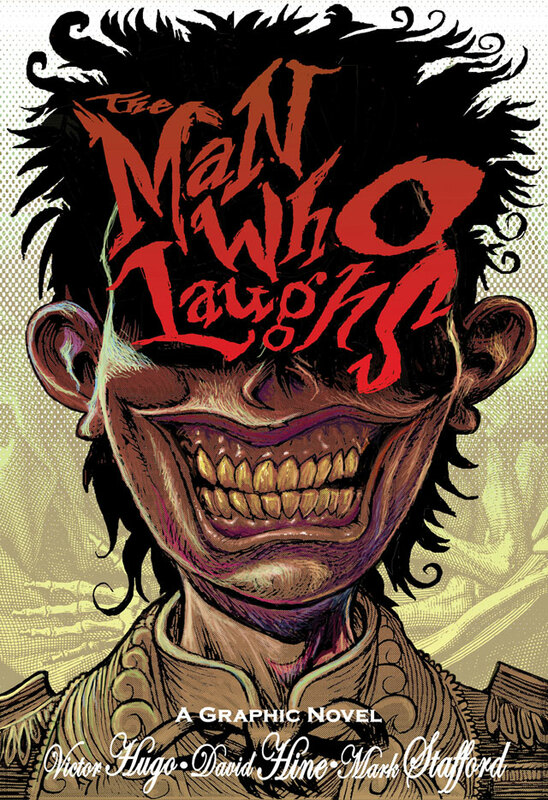 To the aging quack in charge of the troupe; to its blind and beautiful leading lady; and to Gwynplaine, the virtuous young actor whose inner nobility is masked by the mutilated face by which a grotesque, perverse and corrupt society defines him: "The Man Who Laughs". 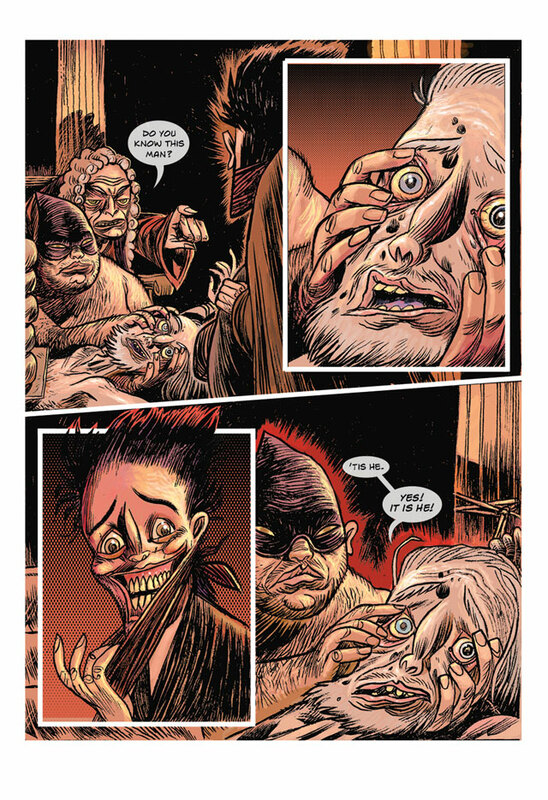 In David Hine and Mark Stafford's adaptation, Victor Hugo's impassioned, outrageous and bizarre 19th-century novel – the inspiration behind The Joker in Batman – has found an ideal new form. Mark Stafford writes, paints and draws. He is co-creator of the Cherubs! 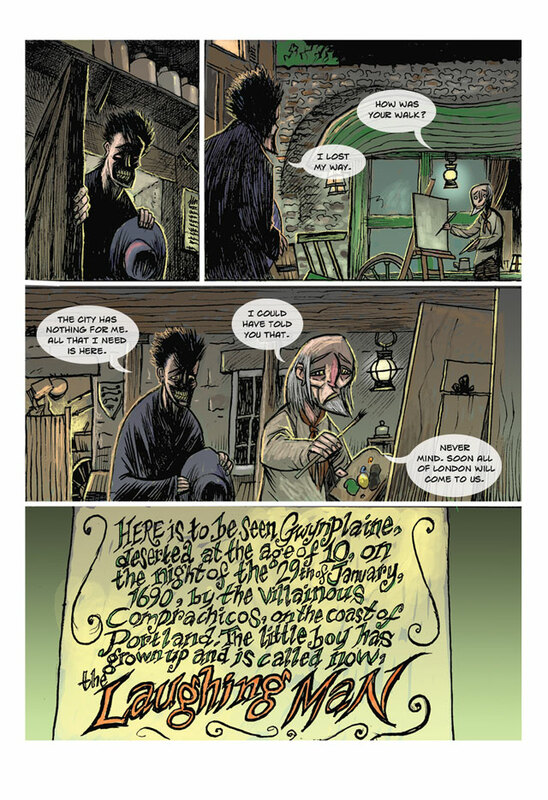 graphic novel with Bryan Talbot, and previously collaborated with Dave Hine on 'The Colour Out Of Space' for SelfMadeHero's The Lovecraft Anthology: Volume I. 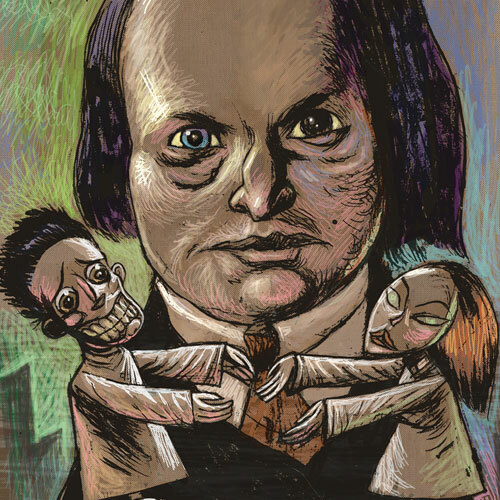 He is the longstanding cartoonist-in-residence at The Cartoon Museum, London, and writes about cinema for Electric Sheep magazine. "An absolutely stunning and grotesque new work." "It'll make you smile, but darkly."